Just down the road from our home base of operations is a small town called Menagha, MN. It’s just south of Park Rapids about 15 minutes and is right on the edge of a small lake called Spirit Lake. 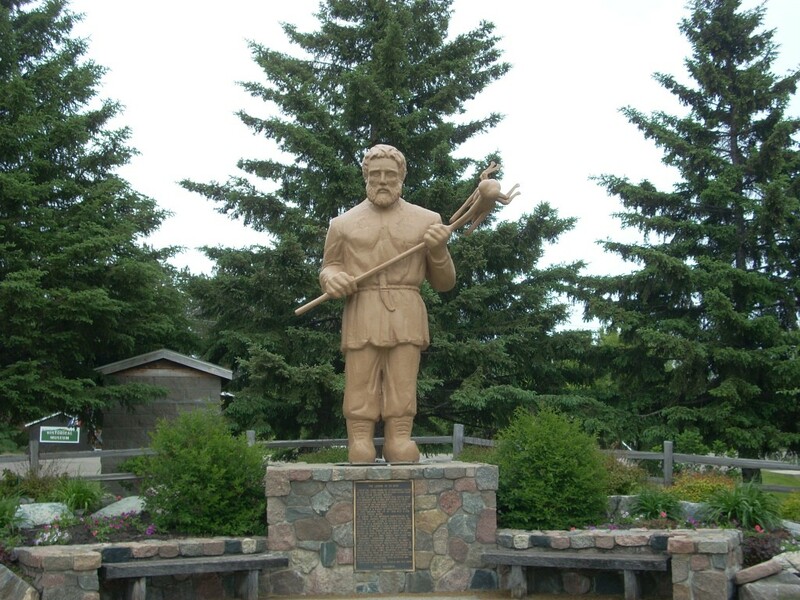 Here in Menahga you will find a statue of the mythical patron saint of Finland, St. Urho. According to local folklore, St. Urho drove away grasshoppers out of Finland a la St Patrick and the snakes in Ireland. His alleged catch phrase is “Heinäsirkka, heinäsirkka, mene täältä hiiteen!“ (“Grasshopper, grasshopper, go to Hell!”) Coincidentally, his day is celebrated on March 16th. He stands here in town with a grasshopper impaled in his pitchfork. Apparently the idea of St. Urho was conceived by a Minnesota native back in the 50’s since the Finn’s weren’t getting enough recognition like the Irish with St. Patty’s Day and all that. 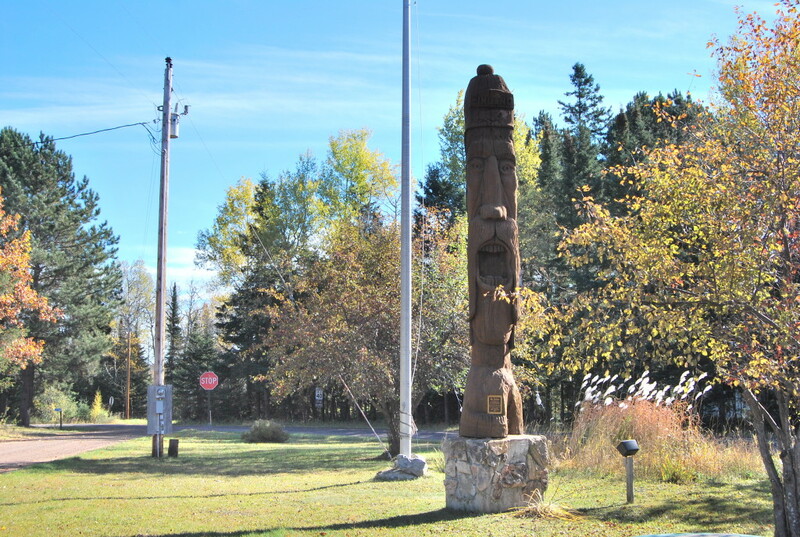 There is also a St. Urho chainsaw-carved statue in Finland, MN as well (below). While in the area: Just north of Menagha is a pretty solid golf course called Blueberry Pines. Or, head up to Park Rapids and hook up with the Heartland Trail, a 49-mile paved bike trail winding through lakes and forests along a former train railway. 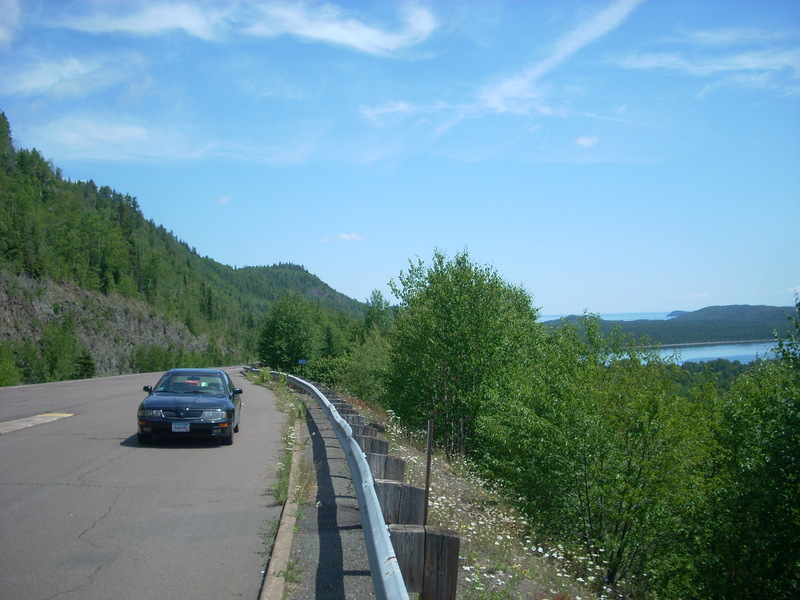 Finland is in the beautiful Sawtooth Mountain area along Lake Superior’s rugged Northshore, and close to the secretive “Reverse Road” as well as the Illgen Falls Cabin. This entry was posted in Highway Highlights and tagged Big people, Menagha, MN by Seth5544. Bookmark the permalink. I really like this guy, but his legs look too short – like a half-midget or something. I noticed that too right away. Not sure if they intentionally made him that way or just didn’t measure right when they built it! Gotta be intentional or else a few people would’ve lost their jobs after that!!! !